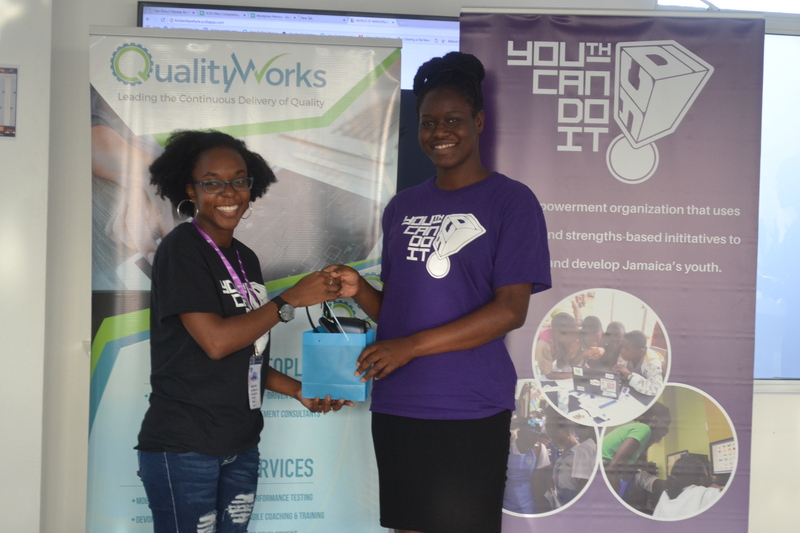 On Saturday, July 21, 2018, QualityWorks Consulting Group, sponsored the Youth Can Do It (YCDI) Women in I.T Mentorship Meetup in Kingston, Jamaica. This initiative is a part of a larger mentorship program, which is geared towards encouraging young Jamaican women to pursue careers in the usually male-dominated field of I.T. As one of the very few software companies that are 100% woman-owned, QualityWorks continues to champion initiatives such as the YCDI program which supports women in Tech, particularly in the Caribbean. With more than 60% of total employees being female, QualityWorks remains committed to inspiring and nurturing the next generation of female tech leaders. Ranked 2nd for the most mentors in the program, QualityWorks consultants have been investing their personal time and resources in mentoring students from both secondary and tertiary institutions. This partnership with the YCDI movement is not the first of its kind though, as the company has collaborated with similar programs in the US, namely, Women’s Voices in Tech. Nyoka is a Marketing Intern at QualityWorks. She is a creative at heart and enjoys creating content that inspires and educate her peers.